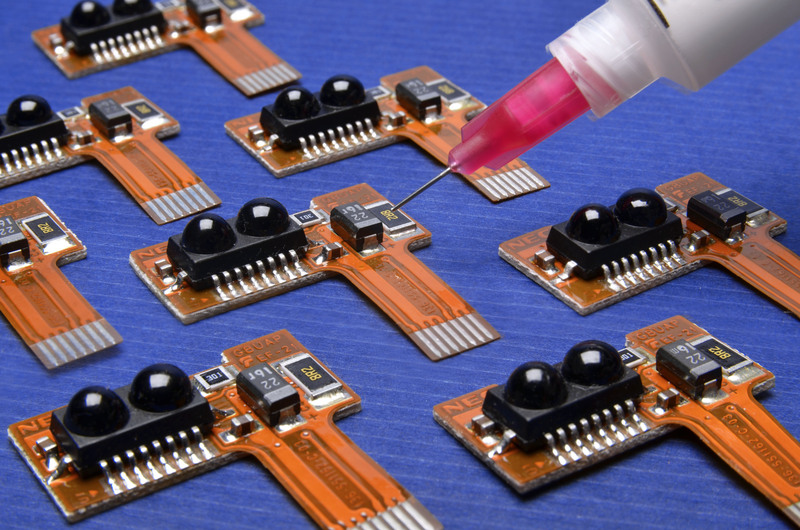 Master Bond EP3UF is a one component epoxy that contains thermally conductive fillers with very small particle sizes imparting a low thermal resistance of 5-7 x 10-6 K•m2/W. This low viscosity system has good flow properties and can be applied in bond lines as thin as 10-15 microns. It offers a thermal conductivity of 9-10 BTU•in/ft2•hr•°F [1.30-1.44 W/(m·K)] and a volume resistivity exceeding 1014 ohm-cm. EP3UF also passes NASA low outgassing tests and can be used for bonding and underfills in microelectronics packaging/assembly applications.